So, while there may be some topics I’m personally more interested or invested in than others, I’d rather talk about what you want to hear. Signify is here to support you and your nonprofit or social enterprise on your marketing and communications journey, so I’d love to know what’s on your mind. What marketing and communications issues are you struggling with? What do you find puzzling? What are your goals for this year? What’s new that you need to promote? What are you working on that you could use some help with? What can I teach you? Think of this as my online suggestion box. Here are just a few of the topics I’m planning to tackle this year. Let me know which one(s) resonate with you so I can move them up or down the list. And, of course, lots more about launches and websites because those are my favs! Did I miss something that’s important or interesting to you? Let me know in the comments or email me at kristi@signify.solutions! Just like the past two years, you’ll also see guest posts from time-to-time. The vast majority of my guest posts are from people I know, but occasionally, I let others into the mix as well. If you feel like your voice would be a great one to add to this blog, reach out and we’ll talk. Oh, and I’ll be expanding my online store this year as well! You’re also welcome to suggest a product or resource that will help you succeed. My goal is to provide small, cause-focused organizations with the marketing and communications tools they need to grow their tribe, increase their sales or donations, and do more good. So, help me make that happen by letting me know what you need! Get weekly marketing and communications advice for your nonprofit or social enterprise. Volunteers are an essential part of any cause-focused organization. They’re often the extra hands and feet that nonprofits and social enterprises need to make their mission succeed, especially in the early stages. But building a team of dedicated volunteers isn’t easy. It takes a lot of hard work and a steady flow of communication to ensure that you’re getting what you need, while giving what they need in return. This week’s post comes to us from Faitth Brooks, who manages social media for one of my clients, Be the Bridge, as well as serves as the Director of Women’s Empowerment for Legacy Collective. Both organizations have not only relied on volunteers to make their work happen, but entrusted volunteers with being ambassadors for their brand with great success. Faitth knows a lot about organizing, engaging, and empowering volunteers, and I hope her wisdom will help you build your team as well. In the nonprofit world there are numerous tasks that often cause employees to wear several “hats.” And if you’ve worked in the nonprofit sector, you know all about the hustle to save money and raise money in order to fulfill the mission and vision of your organization. I've worked for nonprofits most of my career and I've learned that volunteers are invaluable to any organization. They give of their time and energy to work alongside staff members and help make everyone's job easier. It’s also common for nonprofits not to have the funds to hire a robust staff, especially small ones, so volunteers help fill in the gaps. 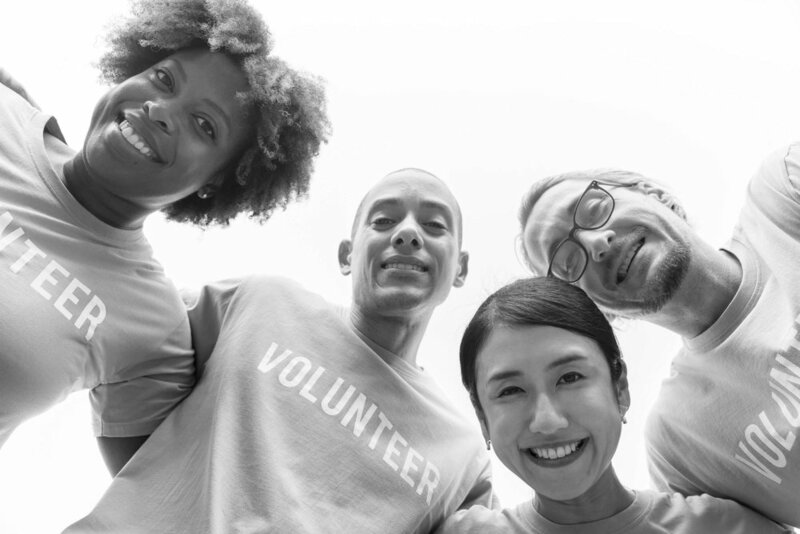 Many of you may be thinking, “Faitth, that’s nice, but how do I build a dedicated team of volunteers for my organization?” Well, I’m glad you asked because I’m going to tell you all about how I’ve done it over the years. In order to maximize your time and energy, it’s essential that you build a committed team of volunteers. There are three important steps I’ve implemented in organizing volunteer teams, and I am going to share them with you today. First, know the vision for your organization and articulate it to your volunteers. It’s important that the volunteers begin to embody the organizational culture and values in the same way the staff does. Your volunteers should be able to share the mission and vision of the organization to anyone who asks. Hosting a training for the volunteers is essential, as well as developing a volunteer manual that states the mission and vision, expectations, and assigned tasks. The volunteer manual offers people a clear road map for how they will be utilized by your organization. When volunteers do not have direction, it’s easy to chart their own path away from the mission and vision of your organization. Once training is complete, volunteers should shadow a staff member. It is important for the staff to model how to serve clients, respond to correspondence, and answer the phones. If your staff works remotely, the volunteer can be cc’d on correspondence, shadow you during video conference calls, and join collaborative projects to watch how the team operates together. Second, assign your volunteers specific tasks. Have a list of the particular areas you need help with and instructions on how to accomplish those tasks. Volunteers need direction and they need to feel like they are making a valuable contribution to your organization. It's important to know what your volunteers have experience in so you can assign them to areas where they will thrive. You want your volunteers to feel empowered and excited to work with your organization! Avoid making something up for them to do simply because you do not want to lose their help. If nothing is immediately available that is suited for them, honor their time and let them know that you will reach out again when you need help with another project. Third, maintain open lines of communication and remain available to answer questions. Your availability as a leader will develop trust between you and the volunteer. Also, establish regular meetings with your volunteers. They want to stay in the loop and feel included. Make sure you ask about their experience volunteering for your organization and what you could do better. Feedback from your volunteers is priceless because they have nothing to lose, and are more likely to tell you the truth about their experience working with your organization. This can go a long way in building and scaling your organization in the future. Now, it's your turn to go and build a team of volunteers! Write your vision, create the manual, mobilize the people. Like freebies? You'll like these! Faitth Brooks is the Director of Women’s Empowerment for Legacy Collective. She engages in community organizing and activism. Her passion makes her a relentless spokesperson for racial reconciliation. Faitth is also a social media strategist for Be The Bridge, and a blogger who writes at Faitthbrooks.com. You can find her on Instagram, Facebook, and Twitter @FaitthB. Each month, I invite guest contributors to speak about timely, relevant, and sought-after topics that are important for cause-focused organizations like yours to be aware of as you grow. For September, Lauren Dawson will be talking about diversity and inclusion in the workplace. Lauren is a former intern from a previous job, and we recently reconnected because I was researching diversity and inclusion for a client project. I came across this awesome report from LinkedIn, and after digging a little deeper, realized that Lauren actually works in that department for the business networking giant. So, I thought this could be a fantastic topic to address here on the blog as hiring and culture are always on the minds of small business owners. As expected, Lauren has some excellent information and advice for your nonprofit or social enterprise! Q: What are the latest trends for diversity and inclusion in the workplace? A. Some may actually say that diversity and inclusion is the trend of the year, and I’m hoping the attention will continue until it's obsolete. In the era of social media justice, campaigns like #blacklivesmatter and #metoo are the norm, and we're seeing that shift for diversity and inclusion as well. Customers, employees, and other stakeholders are flexing in powerful ways to influence company decision-making. Where diversity and inclusion may have been restricted to messages of tolerance and team trainings before, it has now expanded to include products, customers, policy work, and more. As a result, employee resource groups are evolving their advocacy to align with business strategy and, by extension, receiving more opportunities to develop and be recognized for their leadership skills. The latest trend in the tech world as it pertains to diversity and inclusion is the idea of belonging along with the emphasis on inclusion. Because of the laser focus on workforce representation of under-represented groups in tech, some companies had invested in their hiring activities with little movement in the overall representation numbers. Now, in addition to hiring, investments are being made to increase retention by influencing how people make each other feel and help each other grow in the workplace: inclusion and belonging. With that being said, representation matters and the focus on representation metrics has been a powerful tool to motivate action and attract attention to this important issue. Q. What's the biggest mistake you see people making in regards to diversity and Inclusion? A. I think it’s a big mistake to create separate processes and responsibilities for “diversity activities." For example, the diversity team should not be responsible for “diversity hiring,” in my opinion. It should be responsible for designing and implementing strategies to enable the talent acquisition teams and hiring managers to get more diverse candidates in the hiring process and make them more successful. In general, diversity and inclusion teams should be responsible for folding diversity, inclusion, and belonging into existing activities rather than creating new ones. In some cases, it is necessary to temporarily create a new role or process to manage the change or to pilot a new idea. However, the long-term goal should always be to empower, educate, and equip all employees and teams to infuse diversity, inclusion, and belonging into all business activities. Q. What's your best piece of advice for people interested in diversity and inclusion? A. In general, my best piece of advice is for people to embrace what they don’t know and proactively seek differing opinions and viewpoints. Many studies over the years have proven that diverse teams win. In fact, McKinsey’s Why Diversity Matters 2018 report asserts that companies in the top quartile for racial and ethnic diversity are 35% more likely to have higher financial returns than their respective industry medians. I believe it’s a competitive advantage, especially considering the increasing demographic changes and global mobility of people and commerce. Every individual can more authentically and sustainably develop their own capacity for teamwork when they align with the principles of diversity, inclusion, and belonging. For people leading these initiatives, patience is key because sustained change takes time to build, and fast change can often be counterproductive given the complexity of what we’re trying to do. Q. What's one thing readers can do this week to improve their own efforts? A. Lean in to your own ability to build relationships with people who are different from you, inside and outside of the office. Start a conversation with a colleague that you’re not as comfortable connecting with by asking them what inspired them to work at the organization. Not only does this help create deeper connections and working relationships, but it also helps you develop cross-cultural competency. Learn more about this approach to connection on Charles Vogl’s website. Q. Do you have any resources to share that might be helpful for people wanting to learn more about diversity and inclusion? A. I recommend subscribing to Fortune’s RaceAhead newsletter for business and societal news related to diversity. Lauren Dawson is an HR Specialist on the Diversity, Inclusion, and Belonging team at LinkedIn, the world’s largest professional network. She loves karaoke and brunch, and when she’s not in San Francisco, you can usually find her with friends and family in her hometown of Atlanta, GA.